The LML Vespa Crankshaft that we offer is manufactured using high quality components. 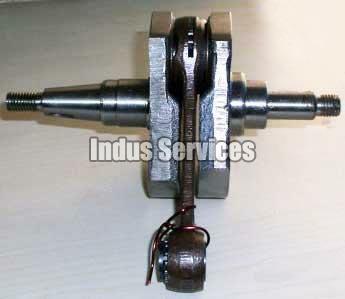 These Crankshafts are made under the direction of experts who ensure that these have a long life and structure. The LML Vespa Crankshaft has uniform oil retention and so offers consistent lubrication. We are reputed for our high quality LML Vespa Crankshaft.